I stumbled across these cute T shirts the other day and really liked them. I am not one for printing Africa all over my clothes or covering myself in Ankara, Kente or any other African print from head to toe, but I liked these tees. I like the yellow one. Do you like them? If yes, which one is your favourite. 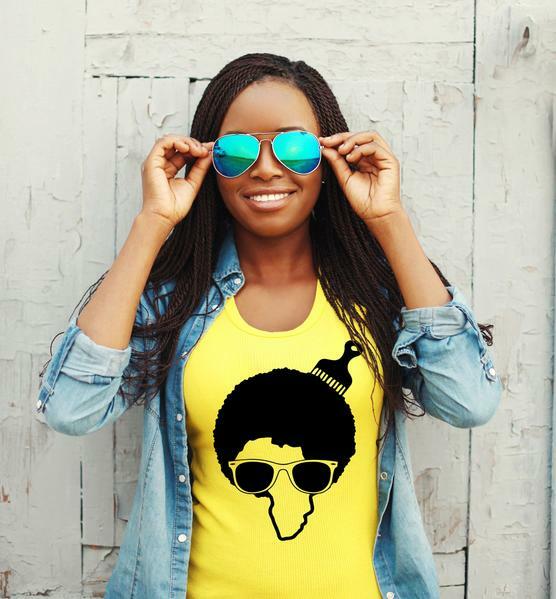 You can find this design and others on the AfroTeez website HERE. I have absolutely no affiliation with this brand. I have never even spoken with them. Neither they nor any of their representatives have paid me to post this on BC Likes.